If you've ever wanted to learn to handspin yarn, here's everything you need to get started! Indulge yourself! Or, give as a gift to that creative person you know who likes to try new things. Buy 2 and learn together with a friend! *Note: Shipment outside the US will cost more than the $7 this website charges you. Please contact me prior to purchase for exact cost. 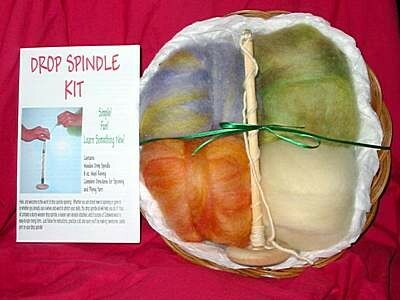 To aid you in learning to spin, please check out these two links to free e-books provided by Spinning Daily at Interweave Press.